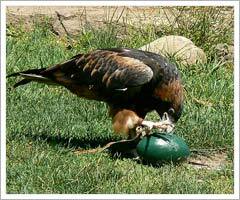 Eagle's Nest Wildlife Sanctuary in Arunachal Pradesh is located in the West Kameng District of the state. The sanctuary covering an area of 217 sq km, shelters various animals and birds. The various animals seen here are elephants, tigers, leopards, sambars, serows, gorals, and red panda. The vegetation is very rich and extensive. The lush green surroundings in the area are very impressive and breathtaking. Eagle’s Nest, is a 2800m high, surpass across the Chaku Ridge. The bypass is named after the famous 4th Indian Army Division of World War eminence – whose divisional logo was the Eagle. The jeep track which cuts across this great crest, was built as a military line of communications to support the operations of this Division against the Chinese invasion of 1962. This highway which is the entry route to the sanctuary passes along the eastern borders of the Eagle’s Nest and provides an interesting birding transect from 300-1600m altitude. Tipi 46 Kms from Bhalupong offers birding along the road and on the banks of the Bhareli River. The sanctuary has birds like ward’s trogon, wedge-billed -babblers, rufous-necked, great and wreathed hornbills, black-necked crane, emerald cuckoo are seen in this area. Other specialties which can be seen with some effort are three dragomans, blood pheasant, monal, ibis bill, purple cochoa, long-tailed and collared broadbills, blue-naped pitta, vivid niltava, long-billed plover and black-headed shrike-babbler. The plot of vast topography is indeed something to watch for besides the wild animals as it is bestowed with succulent green grassland which will definitely mesmerize you in a state of stupor.